The coral reef off the coast of the Florida Keys is the third-largest in the world and the only living reef in the continental United States. Each year, thousands of tourists snorkel the reef to swim with tropical fish and check out diverse coral species. Anyone who’s snorkeled a coral reef will tell you that they’re magical little waterworlds, swimming with activity. 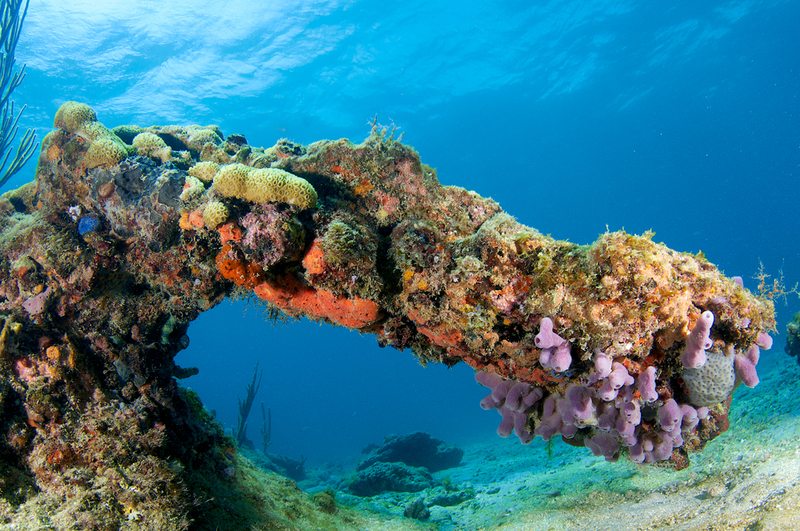 Want to learn more about the Florida Reef before your visit? Here’s a look at its diverse habitats, ways to visit it, and reef-friendly practices that will ensure its longevity. The Florida reef extends roughly 370 linear miles from southern Florida at the St. Lucie Inlet in Martin Country to Dry Tortugas National Park. It’s about 4 miles wide, and the reef is believed to be up to 7,000 years old. The Florida Reef is made up of over 40 species of coral and upwards of 400 fish species. Look out for star coral and the slow-growing massive starlet coral, which are the primary species found in the area. Be aware of the twiggy-looking fire coral, which is actually more akin to a jellyfish and stings to the touch. You should never touch coral, but let the fire coral be a fair warning. Look for lettuce coral, which is easy to identify because it looks just like its namesake, as well as finger coral. The coral reef habitat is teeming with tropical fish, such as the colorful parrot fish, often spotted feeding on the corals. Other species include the angelfish, which is triangular and beautifully colored but hard to spot because of its small size and aptitude of traveling alone. If you happen to see a school of fish that are yellow with black vertical stripes, you’ve likely spotted sergeant major damselfish. Another common visitor to the reef is the loggerhead sea turtle. Remember to keep a friendly distance from the corals and turtles. Let nature do its thing! The best way to see the reef is by snorkeling. Charters across the island supply gear and take you to the most active spots for exploration. Check out deals with Sebago Key West or with Fury Water Adventures. For more, read our guide to snorkeling in Key West. It’s no secret that many of the coral reefs around the world are disappearing. With some reef-friendly practices, we can all pitch in to lessen our impact on this vital ecosystem that protects our shorelines and smallest fish. We suggest using mineral-based sunscreen for starters, as small amounts of sunscreen with BP-3 can cause significant harm. Second, don’t feed the fish! Free food for coral fish means they won’t do their work of maintaining the reef, which is their principal food source. Finally, look but don’t touch. Don’t walk on, kick, or touch the corals. Watch your fins! Not only is coral bad on human skin, the corals can also greatly suffer from your touch. Read more about reef-friendly practices while traveling in Key West. Finally, have fun! Snorkelers aren’t the biggest threat to the coral reef, but being in the know can make a positive impact on coral conservation and protection. If you’re planning a trip to Key West, make sure to book with 24 North Hotel. Free shuttle service and onsite amenities like Starbucks make for a hassle-free stay. Relax by the pool or quickly arrive to Old Town to explore all the fun of Duval Street. See our special offers here.